Adventurers Backpack diaper bag by Jeep. 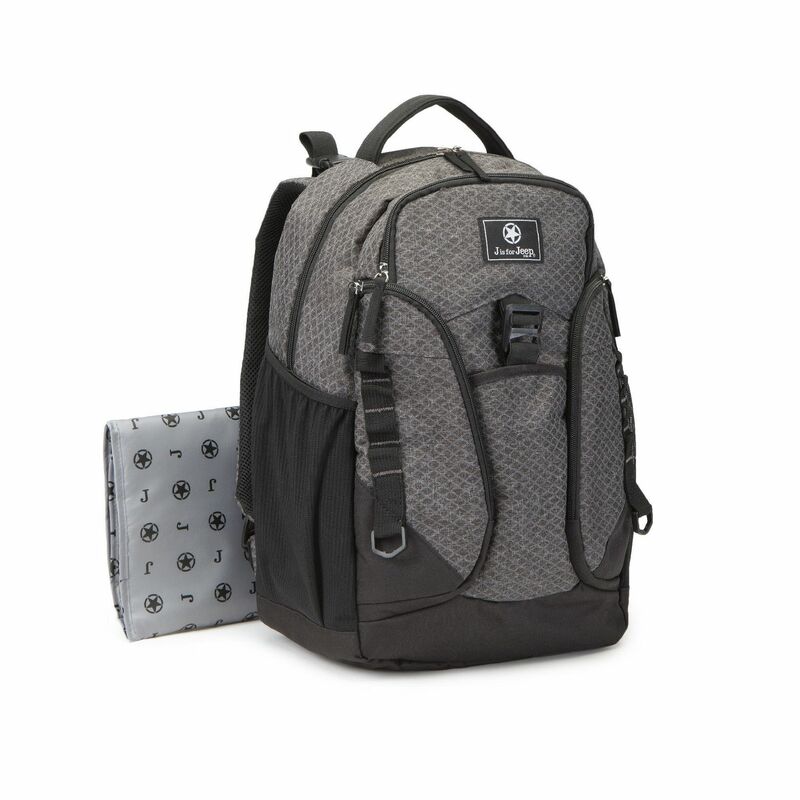 This stylish backpack is the ultimate bag for organization and storage for your everyday adventures with baby. 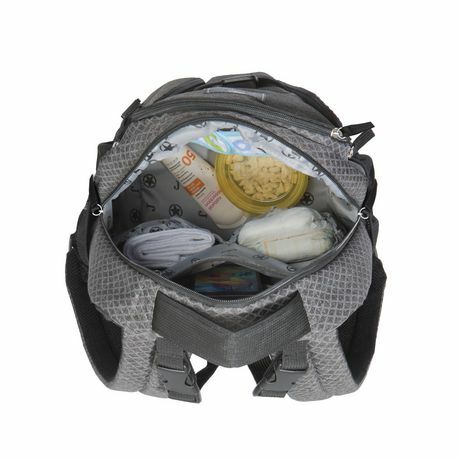 Fit all of your baby care needs and personal belongings in the spacious interior, including an inside zippered pocket designed to keep personal belongings secure and exterior insulated bottle and food pockets. 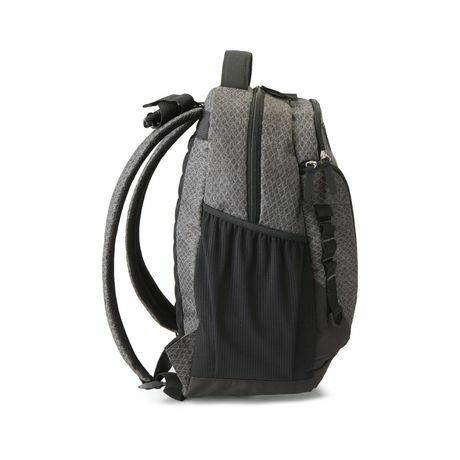 Choose between two hands-free carrying options: padded shoulder straps or stroller loops.